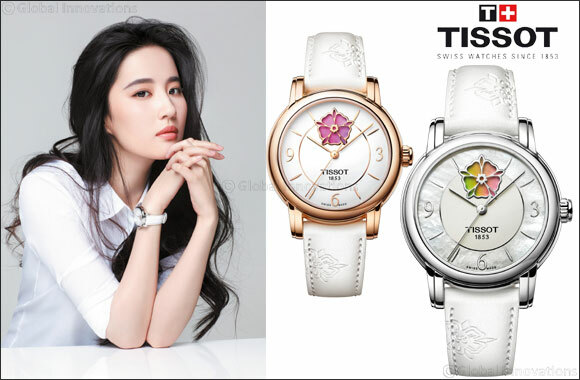 Heritage is at the heart of this elegant piece, which unites Tissot's rich history with beautifully feminine detailing. In a stunning centrepiece, the window at twelve o'clock is represented by a flower symbolising the Tissot family crest. This respect for tradition, together with the impressive Powermatic 80 movement at the heart which has an incredible 80 hours power reserve, shows just how highly Tissot values the strength and zest for life that defines women today.